Mario and his Mushroom Kingdom friends are back in this latest instalment of the famous side-scrolling platform adventure series. Mario's latest adventure is packed full of all the classic side-scrolling game play that all ages can enjoy. But what really makes it the gold standard in platforming fun is the true wealth of brand new features and gameplay elements. Collect thousands and thousands of coins but can you collect a million? Use new items like the Gold flower, Gold Block and Gold Mushroom to help build up your coin collection. Encounter new enemies as they try and stop you in your quest. Play though over 80 levels of platforming madness. Play together with friends and family via local wireless connection and help add to the Worldwide Coin Total via SpotPass. Join Mario and Luigi as you play through over 80 levels, tackle new enemies and attempt to reach the ultimate goal, to collect 1 million coins. 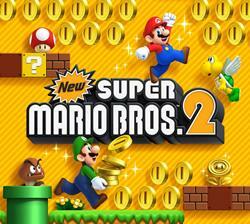 New Super Mario Bros. 2 promises to deliver a fun-filled adventure full of golden gameplay that all ages can enjoy, only on Nintendo 3DS and 3DS XL. Trouble always seems to find its way to the Mushroom Kingdom. Just as Mario and Luigi go off on a coin hunt in the sky, their beloved Princess Peach is kidnapped by the dastardly Koopalings. The brothers have to venture through over 80 stages to rescue her, grabbing an endless deluge of coins across land, water, air, and snow along the way. 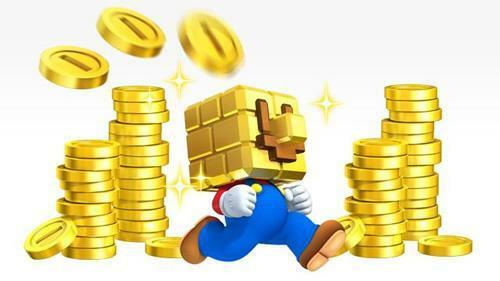 The New Super Mario Bros. 2 game is bursting at the seams with an endless flow of gold coins for you to collect. You'll explore levels filled with gold pipes leading to coin-filled caverns, gold enemies leaving behind trails of coins, and new power-ups and items that will push your coin count into the stratosphere. Can you collect a million coins? Use familiar items such as the Super Leaf, Mega Mushroom and Super Star to tackle obstacles in your way. However, new power-ups have appeared and each one gives you a boost to reach new heights, grab multitudes of coins, and more. Gold Flower - Find this rare flower to turn into Gold Mario, and wield Gold Fireballs that turn almost everything into coins-bricks, Goombas, you name it. Each enemy you stomp on also offers up five coins. Gold Block - Hit a repeating coin block enough times and it turns gold, getting stuck on Mario's head. Run as fast as possible with this block attached and watch the coins add up at super speed. Gold Ring - Hop through a gold ring and all enemies will turn into gold for a short time, yielding more coins and coin-producing behaviors. 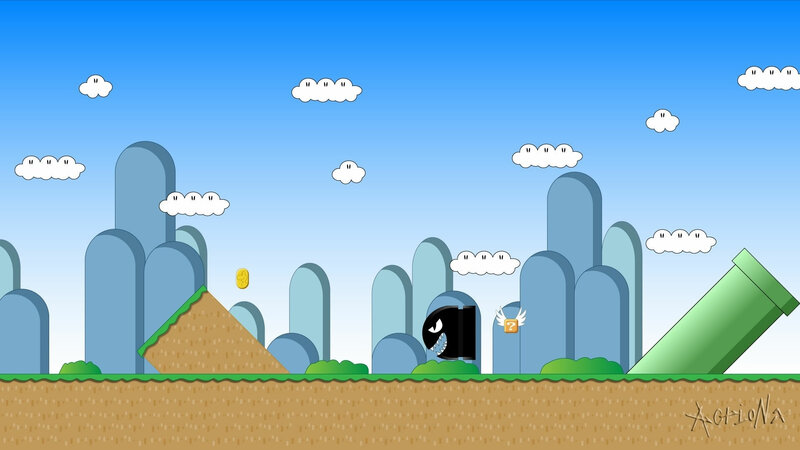 Flying Cheep-Cheeps will have a trail of coins, Gold Lakitus will toss coins from the sky, and more. Gold Mushroom - This valuable fungus only appears in Coin Rush mode. But if you manage to find one, you'll get 50 coins on the spot. Whether you're in a friendly or competitive mood, enjoy a romp through New Super Mario Bros. 2 with friends and family in a variety of fun modes. If you and a friend each have a Nintendo 3DS system and a copy of the game, you can play through the entire game together with a local wireless connection. Collect double the coins, team up for devastating double Ground Pounds, and more. A buddy can even join in to help when continuing from your Solo Play save file. Show off your super skills in this mode, where you'll play three levels back-to-back trying to earn as many coins as possible using only one life. Your Coin Rush record is then saved and can be shared with other players via the StreetPass feature. These players can try to beat your score, and you can challenge theirs. Enable SpotPass communication for New Super Mario Bros. 2, and every coin you collect will be added to the Worldwide Coin Total, along with other players like you. How high do you think it will go? Let's find out together!